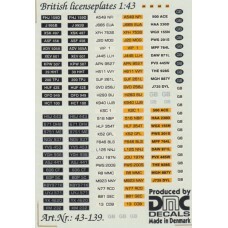 This is a 1:43rd scale waterslide decal sheet containing a range of british number plates. The.. This is a waterslide decal sheet containg numberplate backgrounds and alphibetical letters designed .. 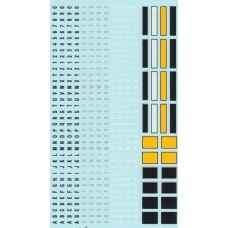 This is a waterslide decal sheet containing numberplate backgrounds (White, Yellow and Black) along ..